The MPC5000 is the first MPC ever to include 8-track streaming hard disk recording, a 20-voice, 3-oscillator analog synthesizer with arpeggiator, a new sequencing engine with 960 ppq resolution, pad and track muting and mixing, 64 continuous sample tracks. There's even a new FX engine with 4 FX buses and 2FX per bus. 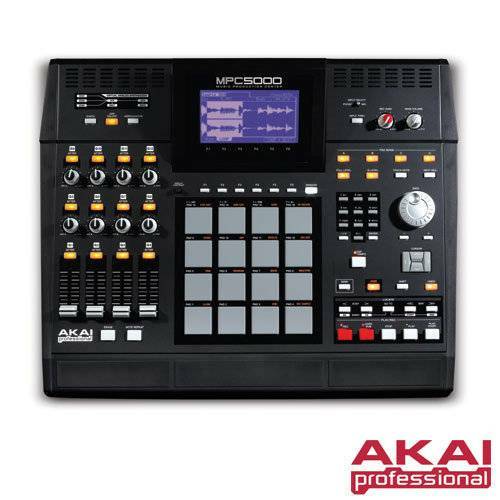 In addition, the MPC5000 features a 64-voice drum/phrase sampler with 64MB memory - expandable up to 192MB. 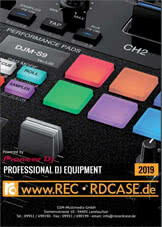 The display is twice the size of the MPC2500 and MPC1000 so waveforms appear crystal-clear. Integrated Chop Shop 2.0 now supports stereo chops and Patched Phrases. The MPC5000 is also the first MPC to include Random and Cycle sample playback in addition to velocity Zone Play. A turntable preamp is also included. The MPC5000's virtual analog synth eliminates need for external analog synth modules or buggy software based synthesizers. The new 8-track direct to disk recorder lets you produce your whole song in the MPC and then mix it down with the internal sequenced programs and any input thru material. Add the optional CD/DVD drive and you can then burn an audio or data CD or your mix. Over 650MB of premium-quality sounds from Loopmasters are included to get you up and running with pro-quality production in seconds. Sii il primo a scrivere una recensione per: "Akai MPC-5000"